History’s Corner – March 2018 | F.F.A.M. 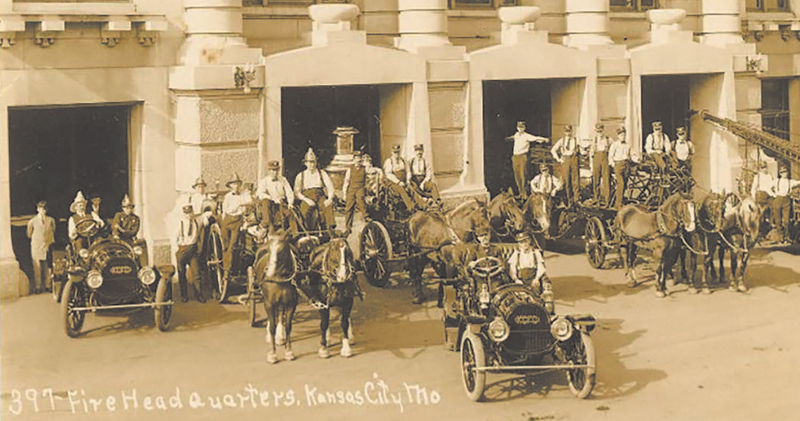 Fire protection began in Kansas City with the spontaneous formation of bucket brigades in an attempt to control fires that broke out in the mostly wood buildings of the city. On March 12, 1867, the Missouri legislature granted permission to the city to form a fire department, to create and enforce a building code and to utilize necessary tax dollars for fire protection. One year later, the steamboat Kate Kinney delivered Kansas City its first steam engine for the fire department. Chief Frank Foster and his volunteer firefighters tested the new engine on March 14, 1868. The engine was named John Campbell No. 1. The tests were completed at 4:56 p.m. on March 14, 1868, and the Kansas City, Missouri, Fire Department (KCFD) has existed since that time. On August 2, 1871, the first career fire fighter was hired. The volunteer force of KCFD continued to decrease and by May of 1872, KCFD was staffed mostly by career personnel. George C. Hale was appointed fire chief on May 1, 1882. He had been a machinist by trade and was a self-educated engineer and he became a prolific inventor of fire service equipment. His inventions include the Hale water tower, the Hale swinging harness for fast horse harnessing, Hale tin roof cutter, Hale door openers, and Hale cellar pipe. During Chief Hale’s tenure, the department traveled to the International Fire Congress twice to demonstrate the precision of KCFD procedures. In 1893, the department attended the London Exposition and in 1900 they participated in the Paris Exposition. One of the competitions was a simulated “night turn out.” The time was measured between the alarm sounding and the horse drawn engine clearing the station doors. KCFD utilized a sliding fire pole and the Hale fast hitch harness system and recorded a time of 8.5 seconds. The fire company that came in second place in this world competition recorded a time of 97.5 seconds. KCFD sent two personnel as delegates to a February 26, 1918, convention in Washington, D.C. The International Association of Fire Fighters was formed at this meeting. The delegates carried the names of 373 KCFD personnel to the convention and they became charter members of the IAAF and Local 42 of that union. Kansas City’s most disastrous conflagration occurred on April 4, 1918. The fire was located in the West Bottoms of the city. Twenty-one buildings were destroyed. On July 18, 1998, the West Bottoms experienced another conflagration that resulted in the destruction of fifteen buildings. 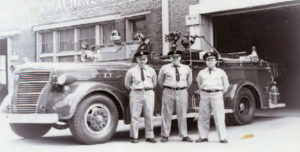 On August 18, 1959, a fire at a service station on Southwest Boulevard was reported. The location was very near the state-line dividing Missouri and Kansas. The location of the fire was technically in Kansas City, Kansas. Both KCFD and KCKFD responded simultaneously. During the fire fight, a twenty-five thousand gallon fixed gasoline tank exploded, which resulted in the deaths of five KCFD firefighters and one civilian. This is the incident where the term of boiling liquid expanding vapor explosion (BLEVE) was first used to describe the phenomenon that occurred at this fire. During January of 1978, the city experienced its deadliest fire in Kansas City’s history. The Old Coates House Hotel was located at 1005 Broadway and at the time was being mostly used as a transient hotel. There were many heroic rescues at this incident, but twenty-one individuals perished in this fire. After the fire was under control, the chief in charge of this incident was on the top floor discussing the fire fight with the firefighters that had been on the interior. He told the firefighters that he felt uneasy with their location and they moved out of that wing of the structure. In a few seconds that wing totally collapsed to the basement and multiple firefighter deaths were avoided. 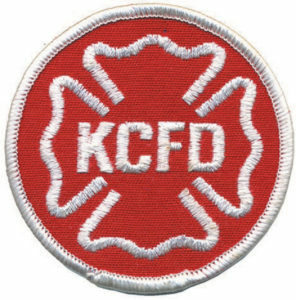 On November 29, 1988, KCFD responded initially to a report of a pickup truck fire on US 71 Highway at 87th Street in the South section of the city. Responding firefighters found two storage trailers on fire. There were no placards or other warnings that the trailers contained explosive material. The incident resulted in an ammonium nitrate explosion that killed six KCFD firefighters. This incident was the greatest line of duty death incident in the 150 year history of the department. This incident brought about changes in placarding and hazardous materials reporting throughout America. The KCFD Hazardous Materials Division was brought about due to this incident. 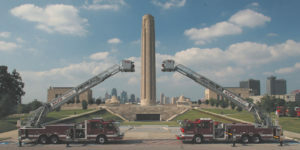 A memorial at the site was created and is maintained by the KCFD Retirees Association. After this incident, a memorial fountain was built to honor all KCFD line of duty deaths. The fountain is one of the most impressive firefighter memorials in America. The skywalks at the Hyatt Hotel in the Crown Center complex collapsed on July 17, 1981, resulting in the city’s largest ever mass casualty event. One hundred and fourteen individuals were killed and 216 were injured. This incident also took the life of a retired KCFD battalion chief. This incident was utilized as a case study throughout the United States in order to improve the utilization of incident command procedures involving mass casualty and disaster events. 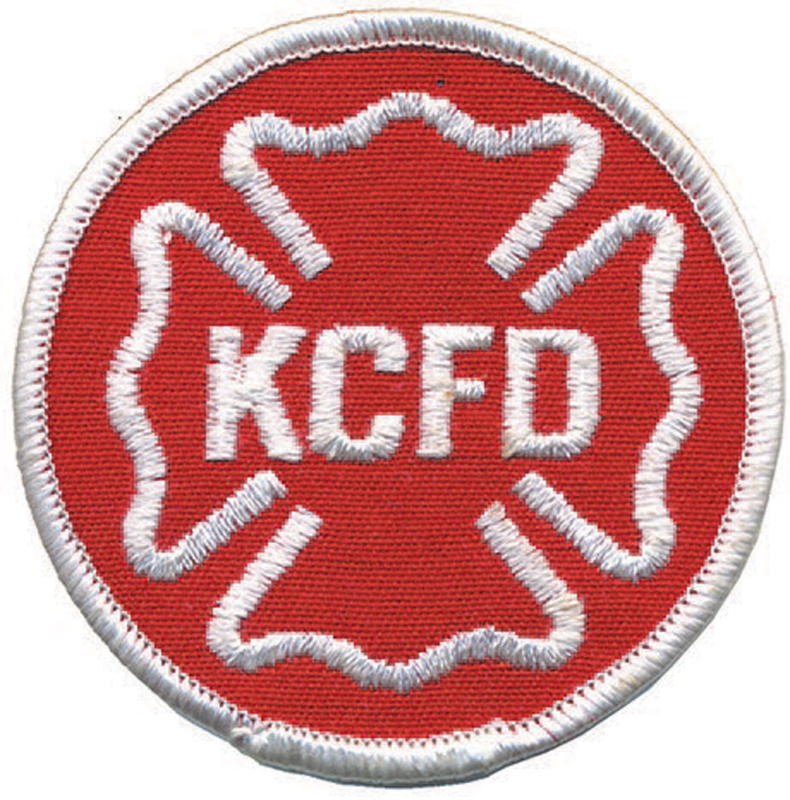 The Chem Central fire started on February 7, 2007, and was the longest burning structure fire in Kansas City history. This chemical-driven fire produced the largest smoke plume that the metropolitan area had ever experienced. The fire continued to burn for 72 hours until final extinguishment. The fire was confined to one structure and there were no injuries or fatalities. This was the first ever single structure fire in the city’s history where the Emergency Operations Center was activated and the incident operations were coordinated from KCFD. In 2000, KCFD was the first fire department in the nation to implement the International Association of Fire Chiefs and the International Association of Fire Fighters (IAFC/IAFF) Labor and Management process. This process is utilized to make most major decisions concerning all programs within the department. IAFF Local 3808 signed its first agreement with the city in 2001. This local primarily represents the battalion and division chiefs of the department and has approximately sixty members. KCFD is one of the few fire departments in the country that has two locals of the IAFF representing the department’s headquarters personnel. On August 25, 2010, KCFD and Metropolitan Ambulance Service Trust (MAST) were merged into one emergency response organization. Following this merger, all fire protection, emergency medical, rescue and hazardous material services are provided by one organization and directed by the KCFD chief of department. This merger created the largest fire department within seventeen contiguous states. 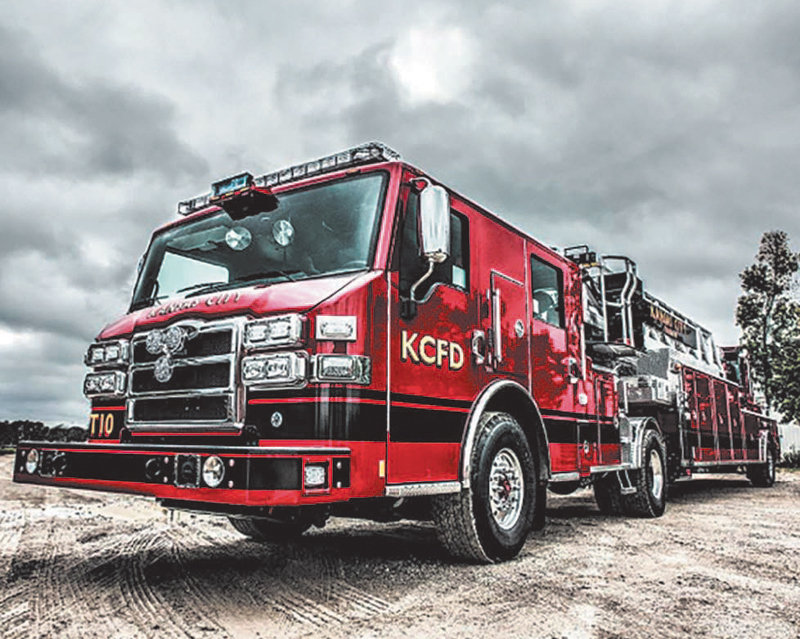 Today, KCFD operates 48 companies including 31 pumper engines, 11 ladder trucks, 3 heavy rescue trucks (technical and urban search and rescue), 1 hazmat, and 1 aircraft rescue and firefighting (ARFF). In addition, the department operates an air and light unit, two command vans, and 10 watercraft. KCFD maintains eleven on-duty chief officers at all times. All pumper and truck companies operate with a minimum staffing of four personnel and the three heavy rescue companies operate with a minimum of six personnel. The department operates 40 ambulances. The minimum staffing on an ambulance is a paramedic and an EMT per unit. All KCFD personnel are EMT or paramedic licensed. Some ambulances are assigned to a company and work under the supervision of a captain. Other ambulances are staffed on a dynamic schedule and are supervised by an EMS chief officer. Some fire companies are staffed and equipped to provide advanced life support functions. The department operates a fire prevention division that is responsible for inspections, investigations, and public education. 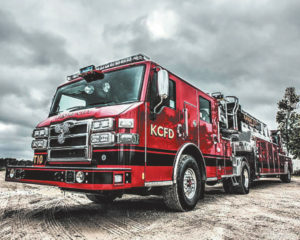 KCFD has its own Communications Division that handle all 9-1-1, phone and radio communications for the department and other metropolitan fire departments. In 2012 the department began operating a 700/800 mgh radio system that is one of the most advanced in the country. All fire companies are equipped with a mobile repeater to ensure adequate in-building coverage throughout the city. The rank and file personnel of the department are represented by Local 42-IAFF. Battalion and division chiefs are represented by Local 3808-IAFF. Deputy chiefs and the chief of department are the only personnel who do not have union representation. KCFD is the largest fire department in the state of Missouri. 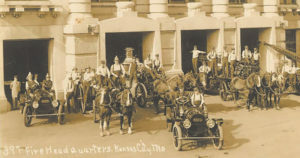 In 1871, the city hired its first career “hoseman” and today the department employs over 1,400 men and women as firefighters, EMS personnel, communicators, inspectors, investigators, mechanics, technicians, and administrative support personnel.